Every designer has their own personal bugbear. The overuse of the typeface Optima is mine. So I made a video about it. So when Apple started putting misleading, but seemingly consumer-friendly posters in front of Apple Stores at the end of 2018 offering a new model for $300 off (with trade-in of your current phone), you know something different happened for the company this year. There’s a lot of support for this argument in the article, but it’s basically all nonsense and hearsay. Apple’s sales missing analyst’s expectations means nothing, because analysts are both not that great at their jobs and because in certain circumstances are very interested in peddling wrong information to affect stock prices anyhow. What certainly does seem to be true is that Apple is focusing on revenue rather than sales. This isn’t really news, because Apple’s entire business for years has been to capture the most profitable segment of a market (e.g. personal computers and phones) rather than the majority of a market. A lot of attention was made of their announcement that they aren’t going to be giving sales numbers in their financial disclosures going forward, but there are good reasons for them to do so absent a ‘consumers are fighting back’ story. Rather, it’s a continuing focus on what ultimately matters to companies and shareholders—revenues and profits. Unlike past years, however, Apple didn’t offer consumers much that was new for the 2018 models. The flagship XS and XS Max phones had more power, but that didn’t resonate with consumers who thought their old iPhone 6S and 7 devices ran just fine. The XR has the premium edge-to-edge display of the X series iPhones, minus the second camera lens of those models and shinier OLED screen, but it’s $400 more expensive than the older, entry-level current model. 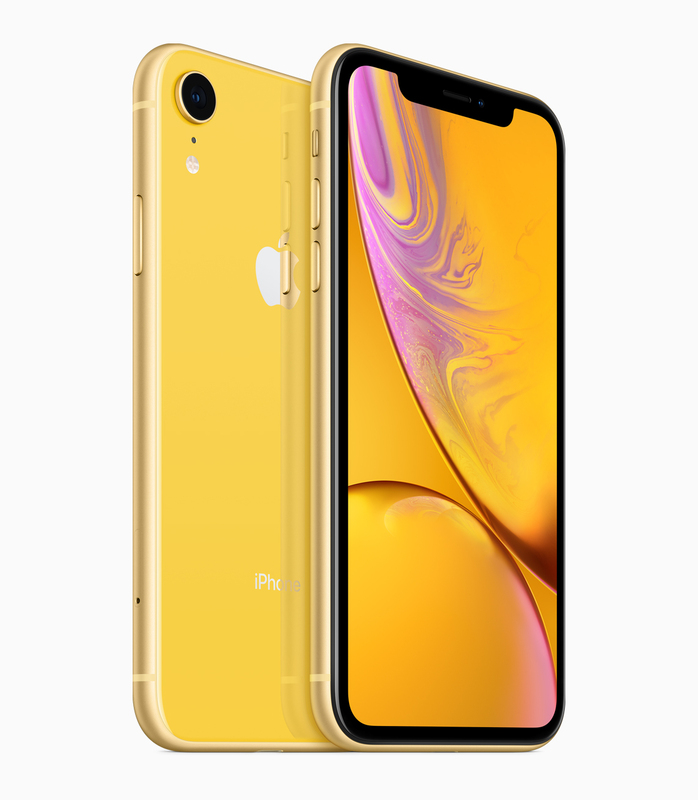 Analysts say the XR phone experienced the biggest resistance from consumers. And I wonder if there’s any new feature consumers really would care about more than an all-day battery, unbreakable screen and camera as good as Google’s Pixel 3 for shooting in low light. If phones had all-day batteries with unbreakable screens, we’d have those phones. But there’s no such thing as an unbreakable phone, or a phone with a battery that will last all day under the most punishing conditions (my old phone’s battery lasts ‘all day’ under most circumstances, anyhow.) There’s only stuff that chooses different compromises. It’s fair to be disappointed that Apple doesn’t make a phone that makes the compromises you want (where is the iPhone X-style screen in a small, easily handled phone like the poor iPhone SE? Remember small phones? I do.) but it doesn’t make sense to demand they make an amazing product with no downsides. And sell it for $100, too, please. There’s reasons to be concerned about Apple’s price increases (especially if you’re outside the US, where the increases were particularly large.) And I myself remain concerned that Apple’s attempt to boost average selling prices and revenue by cranking up the prices will hurt more than help. In a pure logic exercise, there does have to be some mathematical limit to how far Apple can boost its prices before it craters its overall revenue (and Apple is certainly trying to find just where that limit is.) But claiming that 2018 was the year that limit was reached is too early a call to make. This is an interesting video. Marques Brownlee seeded a bunch of cameras and did testing on Instagram and Twitter, gaining hundreds of thousands of votes, and the results included upsets like a Blackberry phone besting the flagship iPhone XS, and the Pixel 3 getting beaten by the P20 Pro. Brownlee makes a very useful observation that a lot of this has to do with smartphone screen sizes and web compression removing many of the subtle details for comparison, with voters trending towards better exposed or brighter images overall. So too must the confounding factors of the screens people were voting on be considered. This is a terrible scientific test but nonetheless excellent for illustrating how much beyond specs goes into our gut reactions to pictures. The main takeaway seems to be that if you are just taking photos in general conditions and only for social media, virtually any midrange or better phone these days fulfills the “good enough” requirement. New MacBook Air—Somewhere, something went terrible wrong in Apple’s notebook lineup. The MacBook Air arrived in 2008 as an impossibly thin albeit expensive and underpowered notebook that basically kickstarted the “ultrabook” category that makes up an increasing number of all laptops. Over the years it grew cheaper and faster, ultimately replacing the MacBook as the “consumer” segment of Apple’s consumer/pro laptop dichotomy. If you were a prosumer who needed extra power, you got a MacBook Pro; everyone else got a MacBook Air and liked it. When the retina MacBook came out, I assumed it would follow a similar trajectory, with this new model eventually replacing the MacBook Air. The retina MacBook (also called the MacBook One, the MacBook Adorable, or confusingly just the MacBook by Apple itself) was impossibly thin, expensive, and underpowered. However, more than three years later, the retina MacBook remains $1299, and its limitations haven’t gone away. More confusingly, Apple kept a MacBook Air mostly unchanged since 2015 as a “zombie” product in its lineup, while introducing a MacBook Pro model that featured MacBook Air internals for a higher price. I and many were hoping Apple would finally address this mess of a lineup on the low end, and the new MacBook Air partially does. It’s a slimmer version of the MacBook Air of old, with a retina screen and some tech updates. However at $1199 (with the zombie non-retina MacBook Air still hanging on at $999) and the retina MacBook and MacBook Pro “Escape” still existing, buying choices are still a muddle. My opinion: Apple should just dump the MacBook. It’s more expensive than the new MacBook Air model while simultaneously being more limited (the only points in its favor are more flash storage standard and half a pound of weight.) While the new MacBook Air seems like a solid product, who it’s for is confused with a bunch of un-updated machines littered around it. New Mac mini—The poor Mac mini has labored unchanged since a rather poorly received 2014 update; now a good four years later, it finally gets a substantial update. Surprisingly, Apple decided not to make it a small puck to take on the Intel NUCs and smaller PCs that have cropped up since the mini started existing, instead orienting it more towards pro functions. That shows in its new higher $799 price, but on the plus side, there’s no “zombie” $499 legacy option still kicking around. The new models have twice the RAM and a much faster SSD replacing the 5400 RPM spinning drive of the outgoing options; while it hurts to have to pay more, I think Apple is better off offering a good entry level model rather than one whose only virtue is it hits a price point. In addition to powerful quad and hex-core i5 and i7 processor options, the Mac mini also returns to user-replaceable (albeit not easily accessible) SODIMMs, although the flash storage is soldered to the board and controlled by the bespoke T2 chip. The machine also keeps legacy USB-A and headphone jack while adding Thunderbolt 3 ports. Keeping more advanced features while adding back in ones that were stripped out was very much not to be expected. A surprise, but a welcome one. New iPad Pros—The iPad Pros got the iPhone X treatment, shedding a lot of non-screen real estate and getting thinner while adding Face ID, more powerful processors, a redesigned pencil, and USB-C. The ditching of Lightning for USB-C makes a lot of sense for an iPad pitched as a replacement for a classic PC; ditching the headphone jack on such a machine makes far less sense. That and the camera bump notwithstanding, these look like pretty impressive updates that will make people happy, but that happiness will again come with a substantial price tag. Odds and Ends—The iMacs were not updated at this event, perhaps surprisingly. They are now, with the release of the new Mac mini, the only machines Apple sells that still have spinning boot drives, so hopefully that will be addressed and we can embrace a much nicer all-flash future, more than eight years after the original MacBook Air showed us what was coming. Not mentioned whatsoever was the Mac Pro, still slated for 2019. It’s encouraging to see the Mac mini as evidence that Apple understands elements like upgradable RAM are important, less encouraging to see proprietary flash storage connected to proprietary SSD controllers as a harbinger of a more locked down system. I expect at this point we won’t hear about the machine until WWDC in June; there haven’t been any new details on Intel Xeons that would work for the Mac Pro (let alone refreshing the iMac Pro) so it doesn’t seem like we’ll get a quicker turnaround. A consistent trend of the event was new products at higher prices—the MacBook Air, Mac Mini, iPad, and iPad accessories such as the pencil are all more expensive than the models they replace. In some ways, this is justified; on the other, aside from a few notable exceptions (the $329 iPad introduced at the Apple Education Event earlier this year, for example) Apple has been consistently creeping up prices on all its products. The motivations for this are obvious—now that most product categories have reached saturation, the alternative if you want to keep making money is raising the average selling price—but it doesn’t feel any less of a jerk move. This especially extends to the build-to-order upgrade prices; upping your Mac’s storage from 128GB of flash to 256GB (really the base comfortable storage option if you have any number of apps and documents) costs $200, the same price as four years ago despite the decreasing cost of SSDs. It comes off as unnecessarily predatory. Unfortunately I don’t see this changing any time soon until the market decides it can’t bear it, but it feels like Apple is hastening the Mac’s own demise by making it a niche item for more and more people with the means to actually afford a decent product from them. Last month Adobe announced its upcoming feature additions for Creative Cloud coming later this year. 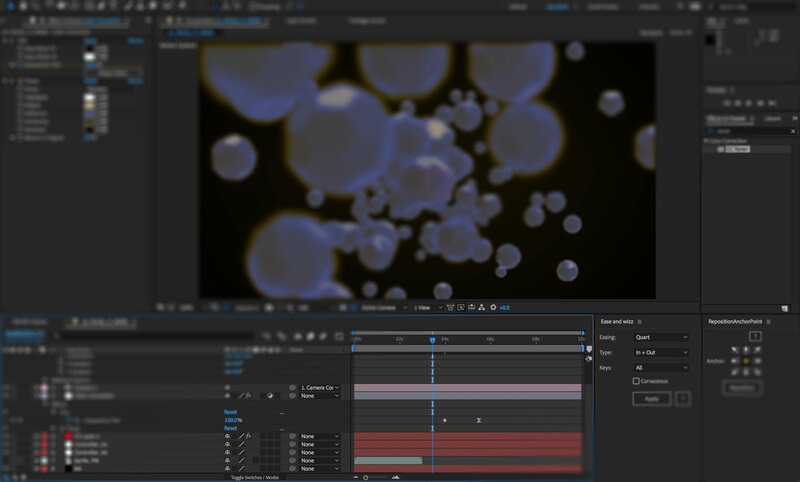 After Effects picks up some nice changes, such as faster scripting, native Mocha plugin, better puppet tools, and additions for working better with Premiere editors. These all seem like great additions, but I will continue to harp on the lack of effective rendering muscle—multiprocessor rendering remains AWOL since 2014. Compared to the breakneck speed of some of Apple’s previous keynotes, this one moved at a rather leisurely pace. It helped that there were only three products to introduce. I’ve been holding off on getting an Apple Watch. They are pricey, and the improvements each generation have been significant. If you’re interested in keeping your tech for a while, though, the 4th gen watch might be the tipping point. The new watches are larger (boo) but have much larger screen-to-body ratios, and are slightly thinner (though still not as thin as the original ‘Series 0’ watches.) The new models are packed with more sensors, including an EKG. This seems like the model to get. The new names for Apple’s flagship phones are dumb, no doubt about it. But as has been proven time and time again with iPod, iPhone, MacBook, iPad—it doesn’t really matter. We’ll get used to them and move on. People pronouncing the roman numeral X as “ecks” rather than “ten” is as old as Mac OS X, which came out the better part of two decades ago. Life marches on. The new models have nicer cameras, higher storage tiers (though you will pay dearly for them), and faster FaceID. I’ve seen plenty of sentiment that this is a lackluster “S” year, but I think the problem is this conflates the X with the iPhone 8, whereas it’s actually a higher-end SKU. Thus, the real phone to look at is the XR, which starts at $250 less than the XS in the US. It’s very much a copycat of the XS, just with a bit thicker edges and a less impressive screen. If you don’t care about the 2x optical zoom of the more expensive models or 3D touch, though, it’s a pretty great value. The XR is truly the spiritual successor to the iPhone 5C in that it comes in candy colors. They are all rather brilliant, with the coral and yellow especially being rather striking with glass backs and aluminum accents along the edges. There are going to be people who buy these just for the colors. My reservations about the XR come down to size; my current iPhone 6 was always slightly larger than my ideal phone would be, and the XR basically means you have to buy an iPhone Plus-sized phone at the low end, with the problems related to reaching distant items on screen in a one-handed grip exacerbated by the fact that more of the phone’s front is now screen. The iPhone SE was quietly killed off at the event, and while it’s possible they’ll bring it back in some form as a mid-cycle model like the original SE was vis a vis the 6S, it doesn’t make much sense to wait for an upgrade that might never come. Augmented reality still seems like an idea that like VR is flailing around looking for truly compelling use cases that would break it out into the mainstream. The iPhone X is gone, which possibly strengthens the connection of the XR to the 5C (as reportedly Apple couldn’t make the 5 cheap enough and thus axed it entirely.) I imagine a lot of people are going to jump on used X phones versus the XR or spending more on an XS. Aside from the optical zoom, the other benefit of the second lens on the iPhone X was the ability to do depth of field blur. Apparently that’s come to the single-lens XR as well; I’ll be interested in seeing how well the software implementation is. Just last week it seemed life was promising. There were new MacBook Pros with beefy specs, and life was good. Then, this week, spurred in part by a Youtuber and more detailed reviews of the shipping machines, reality reared its ugly head. The latest Apple snafu, as it turns out, is that several SKUs of the MacBook Pro throttle heavily under intensive workloads. In some cases this means they drop down below their advertised base core clocks, to say nothing of their turbo boost speeds, and as a result are in fact slower than the last-generation Intel CPUs in the 2017 models. There’s blame to go around here. The problem starts with Intel, who is currently facing some troubles and renewed competition from AMD. With their original CPU roadmap now terribly late, Intel tried to compensate and bumped the core counts for the 28-watt and 45-watt chips the 13 and 15″ MacBook Pro models use. The result is a far more power-hungry chip that upsets the general computing trend of better performance-per-watt with each generation. Intel released a bad product. It’s not all doom and gloom. Early indications are that the new ‘quieter’ third-generation butterfly keyboards on the 2018 models actually do feature much more robust protection from paralyzing dust, and the keys themselves are easier to service without requiring a full top replacement. And the new MacBooks aren’t necessarily forever crippled; Apple could update their firmware to have more aggressive fan curves, for instance, which would help mitigate some of the throttling by anticipating the extra heat. But it’s still not a great look to have your most expensive SKUs on a product targeted to professional users turn out to have a big asterisk by their specs. People have been complaining about Apple prioritizing thinness and quiet performance over raw power and cooler temperatures for years now, and it seems like those complaints have caught up to them decisively. The gentlemen at Accidental Tech Podcast are (uncharacteristically?) bullish about this news, arguing that Apple has already turned a corner and that a “Mac renaissance” is coming, albeit slowly to outsiders given the amount of time it takes to change course. Apple’s response to the MacBook Pro throttling issue, and whatever form the Mac Pro takes next year, will be the indicators to watch to see whether that prediction holds. EDIT (07/24/2018): Apple released a supplemental update to address the slowdown, blaming a firmware issue. We’ll see if that quells the complaints. Amid swirling rumors of new MacBooks and (maybe) the Mac mini being updated, Apple updated its MacBook Pro line. The big news is that with the move to Intel’s 8th generation processors, the entire line gets a core bump, with the 13in models getting quad core i5/i7 and the 15in models getting hex core i7/i9s. Along with this move comes DDR4 RAM and a boosted max of 32GB on the 15in model; the battery has likewise gotten larger to accommodate the power-hungry RAM. People who use their MacBook Pros as desktop replacements and workstations now have more and faster RAM. Especially if you’re running use cases like rendering and virtual machines, this is a major upgrade. Likewise, the added higher storage options (4TB) make it a more capable machine. The press release mentions an “improved third-generation keyboard” for quieter typing. Presumably there’s also additional design done to mitigate or stop the higher-than-normal keyboard failures that have cropped up. People will probably have to wait a year to see if it’s as problem-prone as its predecessors under the repair program. It’s probably also not going to mollify people whose issue with the keyboard was not its reliability but its feel, but early impressions seem positive. Not updated: the non-touch bar 13in MacBook Pro, and the 2015-era 15in model was also discontinued. This means Apple continues to have weird pricing holes in their lineup. The consensus seems pretty clear that for most people, even if they like the touchbar, they’d like paying a couple hundred bucks less even more, and now the base price of a 13in model has crept up to $1800, while the 15min model is $2400—that’s a bump in price of $500 and $400 respectively from the equivalent machines in 2015. Keeping the non-touchbar model around without updates is another “zombie Apple” problem as of late—there’s a lot of models to avoid because you’re paying high prices for outdated hardware, and that problem still remains throughout their lineup. If you’re a motion designer, you’ve probably got a custom toolkit of third-party tools, plugins, scripts, and setups unique to you. The big appeal of them is time-saving—whether enabling you to achieve a look without a huge amount of effort, or to make quick projects that much quicker. Over the years I’ve assembled a kit that I pretty much always install on a new machine immediately, in no particular order. Most of these come from AEScripts, which is a pretty smashing site if you’re looking for After Effects mods. Ease and Wiz: The simplest way to get motion keyframe style in a click or two. Especially when I just need to animate things quickly or don’t have time to massage keyframes for a bespoke effect, this fills in nicely. True Comp Duplicator: After Effects’ composition duplication is in my opinion a bit non-intuitive, and on complicated projects with multiple nested compositions True Comp Duplicator saves oodles of time. Reposition Anchor Point: A fantastically simple and fantastically important part of my workflow: I have no idea how much time I’ve saved with this far-more-intuitive method of dynamically changing anchor points of objects, but whatever it is, I probably owe the developer a lot of money. Unmult: A really simple plugin from RedGiant that like Reposition Anchor Point, saves me a ton of time by knocking out black pixels and not requiring any blending modes to do it. Looking at my AEScripts purchase history, I’ve been relying on some scripts and plugins I use weekly for more than seven years at this point. The amount of time they’ve saved me is probably incalculable, as is the new approaches they’ve enabled me to try.